Argan Oil (Argania spinosa) Produced from the kernels of the Moroccan Argan tree, Argan Oil is prized for its ability to improve the quality of skin. Rich in vitamin E, natural squalane, phytosterols and essential fatty acids, it helps reduce wrinkles and fine lines. Argan oil improves skin hydration and skin elasticity leading to a firmer, smoother complexion. It contains natural anti-inflammatory agents that help with inflamed skin, sebum regulating properties to help reduce the appearance of blemishes and acne, and hefty dose of antioxidants to neutralize free radicals. 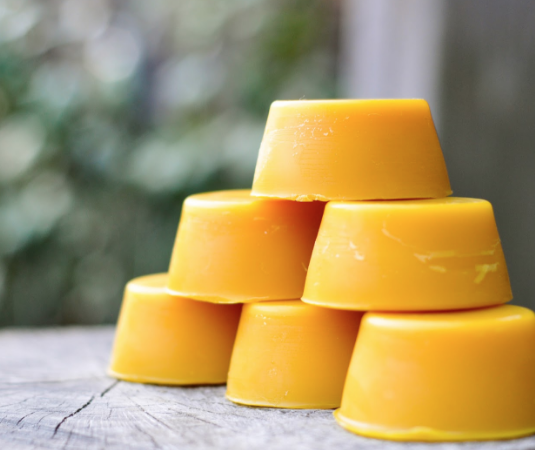 Beeswax (Cera alba) Beeswax has emollient, soothing and softening properties, and helps the skin retain moisture. 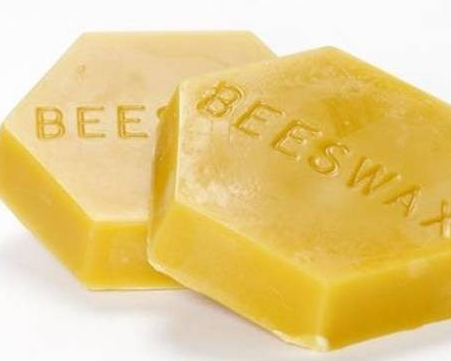 Natural, unrefined beeswax has the smell of honey and is used as an emulsifier and helps create a harder bar of soap. It forms a lovely, light barrier on your skin that prevents loss of moisture and helps seal in moisturizing oils and butters, without clogging pores. 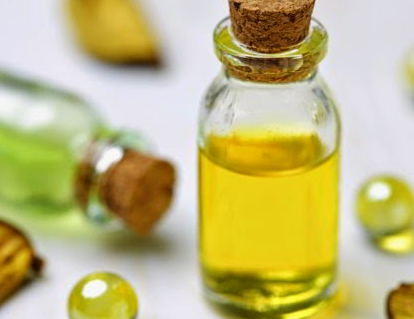 Castor Oil (Ricinus communis) Castor Oil has been used throughout history in many nations for multiple reasons and has even been found inside ancient Egyptian tombs. Known as Palm of Christ, the plant’s medicinal properties have been well documented as a topical analgesic, and has many antibacterial and anti-inflammatory healing properties. Cocoa Butter (Theobroma cacao) Cocoa Butter is an excellent all over body moisturizer as it acts as an emollient that adds a protective layer that locks in natural moisture and has the distinct aroma of chocolate. Great for dry itchy skin, Cocoa butter is often found in products designed to help reduce the appearance of stretch marks and scars. In soap, Cocoa Butter helps make a hard and very moisturizing bar. 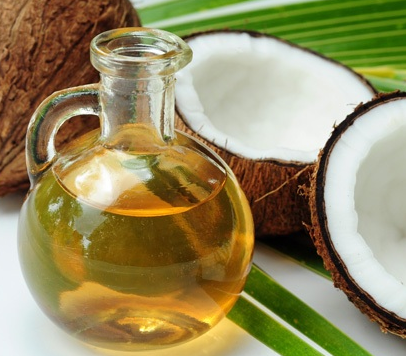 Coconut Oil (Cocos nucifera) Made from the fruit of the Coconut Palm tree, Coconut Oil is a wonderful moisturizer and when added to soap, produces excellent cleansing properties and a rich creamy lather with big, fluffy bubbles. When rubbed directly into the skin, the rich natural fats are easily absorbed and penetrate deeply to help create a smoother, softer and healthier appearance. Evening Primrose Oil (Oenothera biennis) is very nourishing for the skin and is believed to be effective in treatment of acne, dry skin, rashes, itchiness, and for overall skin health in general. Its unique fatty acids are extremely moisturizing, helping to keep dry areas hydrated, reduce inflammation and keep pores clear. Jojoba (Simmondsia chinensis) Jojoba oil is very similar in composition to human natural skin oils and penetrates the skin rapidly to nourish, soften and moisturize, and is especially good for very dry or mature skin by restoring elasticity. Jojoba helps to heal inflamed skin conditions, helps control acne and oily scalps, and is even gentle enough for newborn babies. Olive Oil is believed to have healing properties and helps keeps skin soft, supple and younger looking by attracting external moisture to your skin, and forming a breathable film to prevent loss of internal moisture. Olive Oil is very similar to that of human skin, so it rarely causes allergic reactions and does not block the natural functions of the skin. Palm Oil adds hardness to a bar of soap, stable lather, skin conditioning properties and contributes to a silky feel. Palm oil makes a hard bar that cleans well, but is also mild. Palm oil is a good substitute for animal tallow in vegan soaps. Palm Kernel Oil helps produce a soap that very bubbly and long lasting. Palm Kernel oil is processed from the core nut of the fruit of the same tropical oil palm plants that palm oil is derived from, but its composition and properties are not similar to palm oil. It is instead very similar to coconut oil and can be substituted for some of the coconut oil in soap formulas to make a harder bar. Sesame Seed Oil – With a strong nutty scent, Sesame oil has excellent moisturizing properties and contributes to a softer, silkier soap. 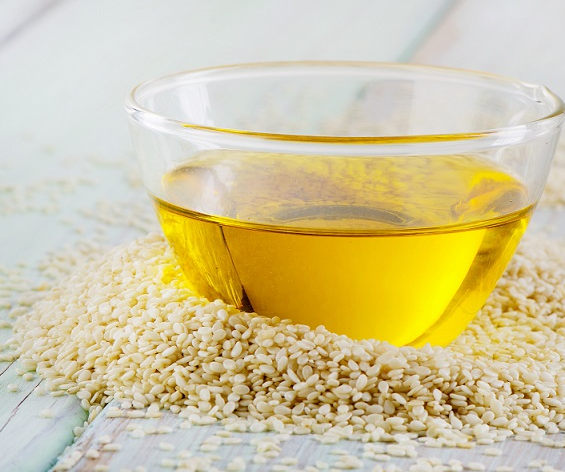 Believed to be good for psoriasis and eczema, Sesame oil makes an excellent addition to handcrafted soaps. Sweet Almond Oil – An excellent humectant, Sweet Almond oil is often used as an emollient in skin creams and balms by attracting and holding moisture to the skin. Sweet Almond oil contributes to stable lather and imparts both conditioning and moisturizing properties. Shea Butter (Butyrospermum parkii) Shea butter adds wonderful moisturizing properties in not only soap, but a wide array of balms and lotions. Also known as African Karite Butter, it has been shown to soothe rashes, moisturize severely dry skin, and lessen the irritation of eczema and psoriasis. 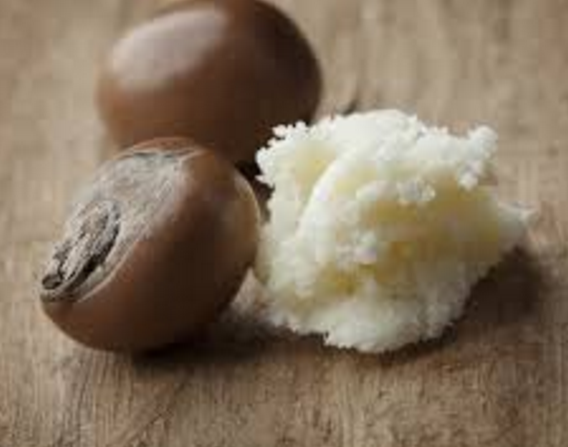 Shea Butter increases the healing of wounds and improves scars by penetrating deep into skin, and is excellent for dry, damaged and maturing skin. We use unrefined, organic Shea Butter in order to retain the highest levels of naturally occurring vitamins and minerals.